The eight-year-old child is growing up and knows it. He/she is eager and curious, but not as responsible as he/she will become in a short time. This age child is impatient to get started and to finish; his/her enthusiasm is often greater than his/her ability. The eight-year-old is still walking the tightrope desiring independence, yet still being dependent. It is hard for the eight-year-old to accept criticism; feel guilt at failures, but talks more than broods. This age child is becoming good at reading and discussing, but sometimes talks just for the sake of talking. This age child enjoys mental games and play, and is interested in other lands and cultures. The child can relate to past and future. Likes groups, but is a stickler for rules. The third grader sees his/her relationship with God as part of a relationship to other people in far places. 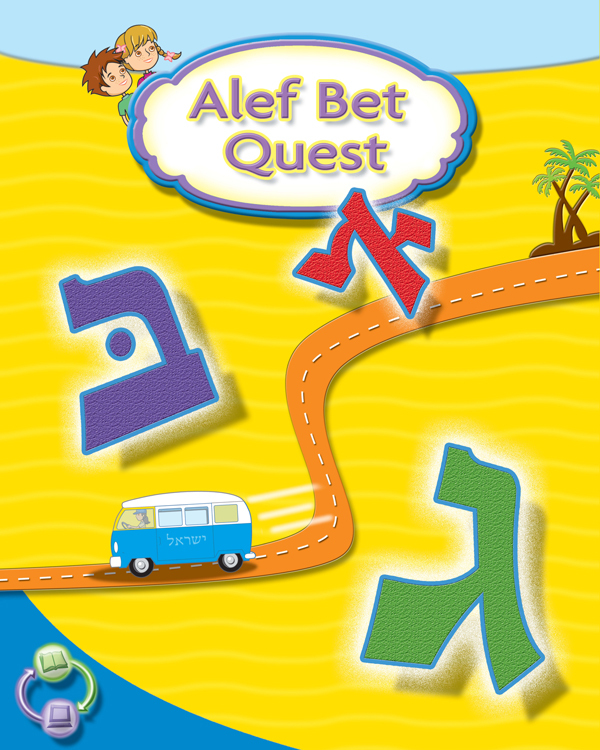 Text: Alef Bet Quest: Hebrew Primer to begin decoding and writing the Aleph Bet. Students will review basic reading skills studied in Grade 2 focusing on the Siddur texts that will be studied as prayer. Students will practice their Hebrew handwriting skills throughout this year as well. Through the utilization of 25 key Hebrew words, students will build their basic vocabulary and focus on the main letters associated with each lesson’s key word. To study the beginning of the prayer service, the Sh’ma and its blessings. To study the weekly parshiyot (Torah portions). To learn the Hebrew months of the Jewish calendar and the holidays associated with each month in a cyclical manner. To study the major cities and regions of Israel. In third grade, students begin attending Religious School for midweek study in addition to Sunday mornings. Students will begin a formal prayer study and will begin to understand the origin, meanings, and order of the prayers as outlined on the Individual Record for Siddur Reading for Grade 3. Students will focus on the first section of the prayer service, the Sh’ma and its blessings. In their cyclical holiday studies, students will learn the Hebrew months of the Jewish calendar and focus on the holidays as they relate to the calendar. They will review the customs and observances associated with each holiday. The students will begin a 2-year exploration of the Torah. In the first year, they will focus on the stories and lessons in Genesis and Exodus, deriving morals and applying them to their daily lives. Israel is a primary focus in the third grade. Students begin to understand the geography of Israel, learning about major cities and regions, trade, industry, culture, and the many types of people that live in Israel. Students in the Aleph class study much of the liturgy and music of the Friday evening Kabbalat Shabbat and Ma-ariv service. 3rd graders love the melodies and creative approaches to various holidays and services. Our goal is to delight and inspire these young learners and engage them in Jewish wonder. The class takes on one or two large mitzvah projects helping others over the course of the year. Students will read Seymour Rossel’s A Child’s Bible: Lessons from The Torah and create their own meanings of the stories from Creation through the passing of Moses. Students’ progress through the Torah as the year goes on. Activities at the conclusion of each section ask the student to share their meaning of the story with the class. Questions also ask the student what they think the story teaches. Hands on activities include word searches, dot to dots, matching word scramble. Students utilize I Live In Israel: Text and Activity Book to explore cities from Jerusalem to Eilat…Tel Aviv to Ts’fat. Stories are told from the point of view of Israeli children who share the events of daily life in their city. Crossword puzzles, mazes, and word searches are some of the activities utilized to reinforce key Israel vocabulary and concepts. This is the pre- formal book of our Hebrew program. It teaches decoding skills using key cultural words and concepts. Games and friendly competition make learning Hebrew lots of fun! Welcome to Israel – takes our students on an informative and fun-filled “tour” of Israel. It introduces students to Israel’s history, geography, commercial and cultural life. This book tells students about Israelis their own age: what they do for fun, their favorite sports and foods, and what their schools are like. Building upon the lessons in grade 2, our students learn in greater detail stories such as Abraham’s gifts from God, Joseph’s Coat, Moses in the Basket, Esau and Jacob, to name a few. Students will also learn Biblical interpretive skills, the difference between “Torah” text, Midrash and connections between today and Biblical times.